The Photography Program is committed to providing a course of study that affirms and nurtures the creative spirit of each individual and provides the aesthetic, technical and intellectual skills necessary as a foundation for a wide variety of professional careers or advanced studies. A major goal of the faculty, as practicing photographers and scholars, is to impart an understanding of the lifelong vitality of artistic development and practice. The program provides students with comprehensive aesthetic, technical and theoretical training within a wide range of photographic practices and imaging technologies. Successful completion of the AS Degree in Photographic Technology ensures a seamless transfer to the University of Central Florida Photography BS Degree program. The joint program between University of Central Florida and Daytona State College is offered exclusively at UCF Daytona Beach. Graduates of the program will be able to: 1. Develop entry-level skills for the editorial, advertising, fine art and photo technology fields or they may continue their photographic education through the DSC/UCF Photography BS Degree program. 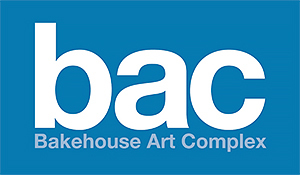 The Bakehouse Art Complex (BAC) is an incubator for artistic creativity featuring dozens of artists working side-by-side in every medium imaginable. In 1986, long before Wynwood was the place to be Second Saturdays for the monthly art walk - before it had any galleries at all - a group of artists transformed an abandoned bakery built in the 1920s and founded the non-profit Bakehouse Art Complex. 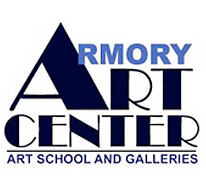 Housed in a historic art deco building, the Armory provides art classes for students of all ages, exhibitions, art salons, lectures, and special events. Nearly 100 courses held in 12 state-of-the-art studios are offered including ceramics, digital arts, drawing, glass fusing, jewelry, painting, printmaking, fibers, sculpture, and 20 exhibitions are hosted annually in four galleries. Led by documentary photographer and widely popular instructor Rick Lang since 1995, Crealdé’s Photography Department offers over twenty classes designed for amateurs as well as serious students of photography and working fine art photographers who wish to enhance their technical and aesthetic skills. In addition to general courses in conventional and digital photography and darkroom instruction, the curriculum includes special topic courses that give students the opportunity to study classic photographic themes such as the landscape, the photographic still life, architectural photography, the photographic portrait, and the documentary. Tuition includes the use of Crealdé's black and white professional darkroom facilities. A darkroom rental program and Saturday field trips are also available. A popular evening workshop series in partnership with Colonial Photo and Hobby introduces students to the newest digital cameras on the market today. In addition, weekend Visiting Artist Workshops are offered year-round. Crealdé offers classes in Photoshop for Photographers and a wide range of digital lab classes in a state-of-the-art digital classroom at the Heritage Center, built with a generous grant from the Community Foundation of Central Florida.